Learn a language. Travel the world. Live your life. Speak basic Italian and enjoy travelling to Italy in 4 weeks time! Wanna try this course? There is a FREE TASTER WORKSHOP on 27 April. Book right here! Imagine yourself entering a cosy bed and breakfast run by a local Italian family; you greet the receptionist in Italian and you actually understand him when he tells you the floor and your room number. The day after you’re sipping a nice espresso in an elegant café in the main piazza whilst chatting to the barista who has just asked you how your morning has been so far. You can speak Italian. And I am here to help make this dream come true! Maybe you’ve been trying to learn Italian already. You’ve picked up a few words thanks to one or two phrasebooks. Or you’ve used Duolingo for a bit. You’d like to learn everyday spoken language rather than speak like a book. Language apps can be kinda repetitive and don’t always cover what you want to learn (+ can you really trust their pronunciation feedback?). You’ve always found speaking languages most difficult. You’d really like to improve this! The truth is, you’d like to have enough conversation practice…so that you can become more confident Italian speaker! Hi, my name’s Erminia Pedata, Ermy for my friends, and as a lifelong learner who has learned four different languages herself, I identify with your learning frustrations very much because I used to be exactly where you are right now. I’m a qualified language coach and after having taught languages for the past 5 years in a variety of schools I’ve noticed that, although most people love learning a language together, classes with twenty or even thirty students are not really the best environment to learn a language effectively. After hearing from other language students who shared this opinion I wanted to help. ITALIAN FOR TRAVELLERS is a series of 4 intensive language workshops consisting of three 45 minutes learning sessions in mini groups of 6-8 people that aim to teach you the Italian you actually need to know to speak Italian with confidence on your next trip to Italy and enjoy the “dolve vita”. Provide you with a basic Italian level that help you communicate in Italian within a holiday context. Help you learn this language effectively in a mini group of six or eight learners, so you get the attention you deserve in order to make good progress. Give you the confidence to speak Italian without being afraid of making mistakes. 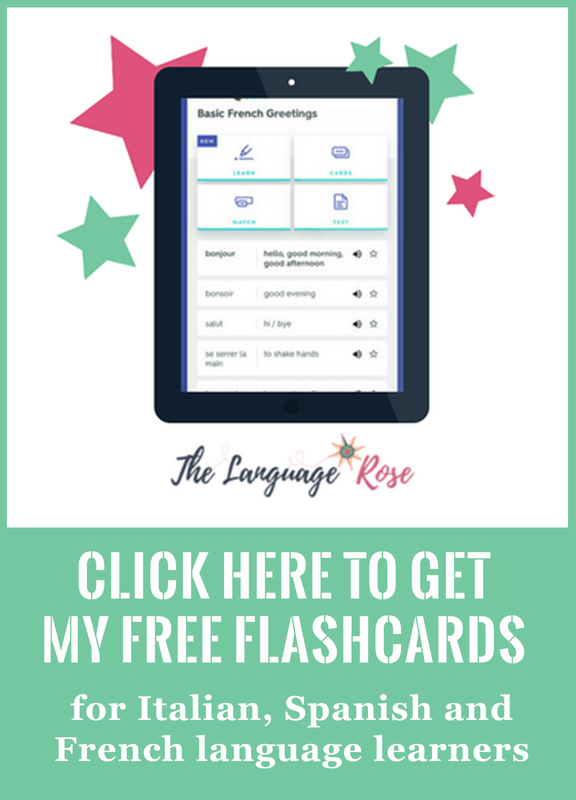 Give you enough conversation practice that’ll help you make the first steps towards your fluency in Italian. 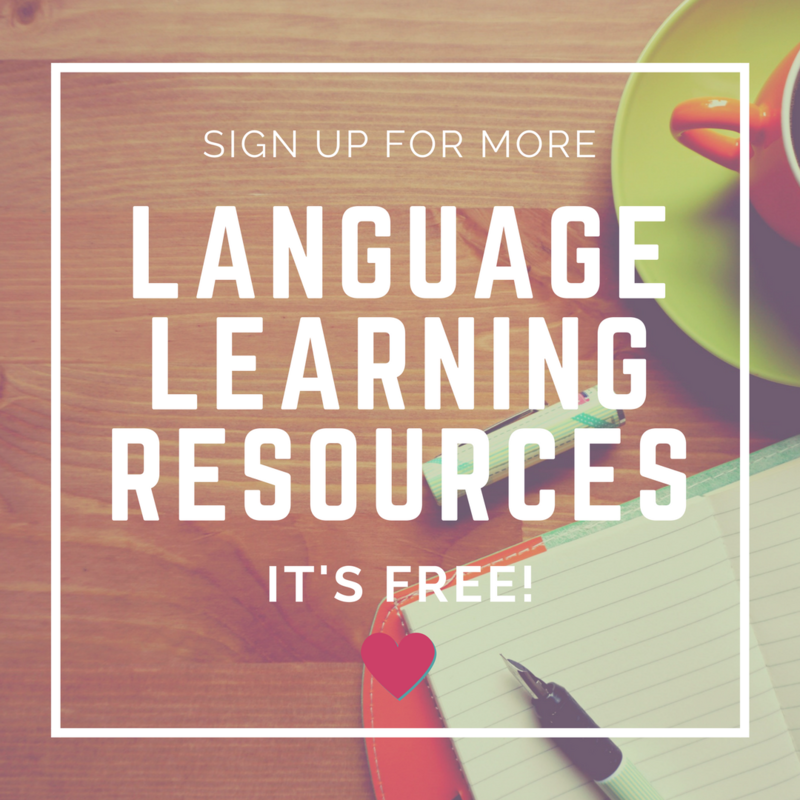 Help you set up a language learning routine in your daily life so that you can progress even faster in your learning (and also after the course has finished!). 4 intensive workshops consisting of three 45 minutes learning sessions (3 learning sessions per workshop) – The average person’s attention span tends to decrease after 40 -45 minutes of focused activity. This 4 week course is designed to help you get the most out of your brain power! Three 45 minutes learning sessions with a break in the middle are the best combo! Essential Italian vocabulary – you’ll be able to pick up the essential language skills to be able to travel and enjoy your trip to Italy. I leave out all the unnecessary stuff to help you learn the language that you ACTUALLY need to deal with common daily situations when travelling around Italy! Mini-groups – You’ll be learning within a small group of six or eight people. This class gives you the perk of learning in a group without sacrificing the attention you deserve, so you can have accountability as well as access to more and better feedback from your teacher. Creative activities that make you a confident Italian speaker – you’ll have fun with roleplaying (and even dancing!) which means that you’ll have plenty of speaking practise and your brain will be more stimulated to learn in a environment where everyone is having fun! Self study material and “missions” – You’ll be given “missions” to accomplish to help you put into practice your newly gained language skills. What’s a “mission”? 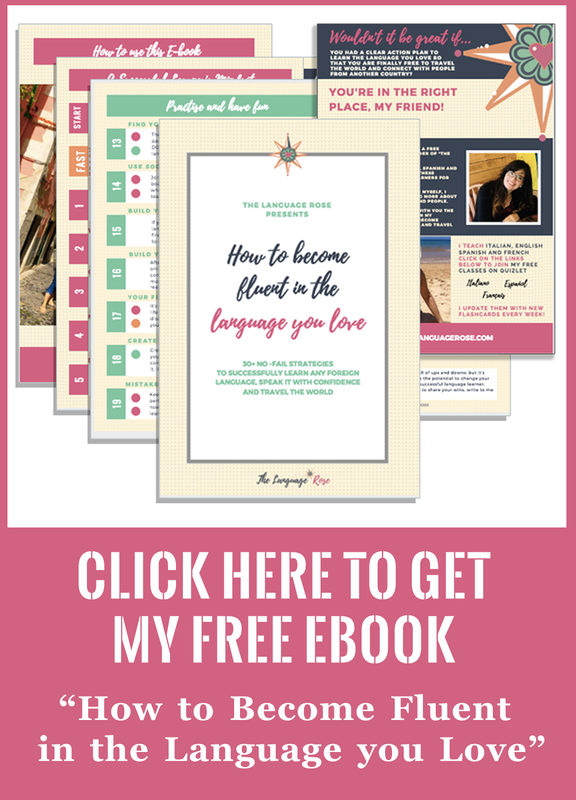 It’s an activity that you’ll be required to do in order to build up your fluency (and yes! It involves talking in Italian to actual people!!). Friendly environment – Forget your dry school classrooms! You’ll have your learning sessions in a cosy and friendly environment at Festival Coffee in Chester. A lovely Permission to eat Italian cookies whilst studying: granted! Lifetime Access to my Italian online class – You’ll get access to my online Quizlet class with the Italian vocabulary and grammar of every learning so you can practise it everywhere and whenever you want! You have life time access to this – also after the course is over!! An extra conversation class of 50 minutes – so you can really improve your speaking skills and fluency level. We’ll schedule this conversation once the course starts to make sure no one misses it! After-course learning resources– You’ll get learning activities and “missions” to accomplish during the course and also after two weeks of its end. These activities will help you keep your language up and incorporate your learning into your daily routine for better progress. What are we learning in Italian for Travellers? There are four intensive workshops. Each workshop has three 45 minutes sessions and covers three specific topics. Have a look at the content of each workshop right here! Where does Italian for Travellers take place? When is Italian for Travellers on? What happens if I miss a workshop? You’ll get a detention! 😛 Just kiddin’ …seriously now, do not worry about missing a learning session. You’re sent learning sheets and other interactive learning material straight to your inbox every week, which makes easy to catch up. You also gets lots of support through email throughout the overall course and a week after is finished. So, be assured that you will not fall behind. There is the option to book a workshop separately. Have a look at the content of each workshop right here. Write an email to languageroseATgmail.com to let me know your preferred workshop (or workshops) and if there is space, you’ll be booked in. IS THIS COURSE THE RIGHT FIT FOR YOU? You’re willing to take some time to improve and practise your Italian also in your own time. You have very specific learning needs and prefer one to one learning porgramme like this one. You’re not willing to get out of your comfort zone in order to practise speaking Italian. You think that you can learn by just showing up at the learning sessions and listen passively. You believe that language coaching is total BS. What makes this Italian language course different from the others? I truly believe that what this Italian course offers you is unique in many ways. Here’s a list of what makes it so cool and why you should join! class size between 15-20 people 6-8 people. Perks: group working + full teacher’s attention. learning programme fairly general, sometimes with stuff you don’t really care about! It’s specifically for people who wants to travel to Italy. coaching element not really Yes. You’ll be trained to become a lifelong language learner and gain the skills and tools you need to speak fluently and with confidence (also after the course has finished!). Duration of learning sessions/classes normally 60 minutes and you get distracted after 30! 12 learning sessions of 45 minutes to make sure you learn at your best ! A grand total of 9 hours of face to face classes + a 50 minutes conversation class! bonus classes and learning materials please let me know if you find a course that offers any! YES! Designed to consolidate your learning. post-course learning Not really YES! Up until two weeks of the end of the course, I’m going to send you some learning materials to keep your learning up. It’s time to make a decision, traveller! Are you ready to join this amazing course to make your dream of speaking Italian come true? How do you want to experience Italy next time to go there? Like a tourist or like an aware foreign citizen who is able to connect with Italian people and really enjoy their culture? You know your answer. And I am here to help your Italian dream coming true! But why enrol RIGHT now? Because your future self will thank you for investing in your personal development. Because if you start now, imagine where you could be in four weeks time with your Italian. Because these course is for max 8 learners. So reserve your spot right now! I know it’s important to be mindful of every penny you invest, especially if you’re a student. That’s why Italian for Travellers comes with a 100% satisfaction guarantee. If after having your first two learning sessions, you feel that this programme is not a good fit for you, please write to me to get a refund*. There is a firm deadline to ask for a refund, which is before you come to your third learning session. I shall require your full, completed learning sheets, homework and a detailed explanation of what didn’t work for you so I can continue to improve. The reason I ask for your completed coursework is because I know that if you take action on the exercises, you’ll get tremendous value and make progress towards your learning goals. One final note: please do not apply for this programme just to “check it out” for the first two learning sessions; do apply for it if you really want to learn the language and gain the skills to keep it up. My goal is to give you an outstanding learning experience and I want you to give your best shot at it too! *you’ll only be charged 35 pounds for administration purposes. What happens after you click on “APPLY NOW”? You’ll see the booking system page that will let you schedule the class. Ensure you choose the right day. After you have scheduled it on the calendar, you can complete the application by replying a few questions and by submitting the payment (this is also the time when you can type your coupon code to get your discount!). After you submit your application, you should receive a confirmation email. How can you pay to secure your place? Who do you need to contact if you have questions? Ermy (aka me!). Send an email to thelanguageroseATgmail.com and I’ll get back to you asap! Learn a language through songs!